Digital photography is greatly enhanced with the use of a flash unit. It allows you to add light to various low-light conditions: interiors, exteriors in shadow, outside at night, etc. Compact, or point-and-shoot cameras usually have built-in flashes, while DSLR cameras have built-in mounts, or hot shoes, where a separate flash unit is attached. Although a flash is a very helpful feature, many photographers discover that using it on the camera causes pictures to look flat and to produce the red-eye effect. The solution is to use your flash, or other lighting equipment, off camera, to create digital photos with more depth and dynamics, and no red eye. With off-camera lighting, you’ll achieve more control of the quality and direction of the light and you’ll be able to illuminate a scene or subject from a greater distance. This PhotographyTalk.com article provides some information and tips to help you choose an off-camera flash. There are many flash units on the market from the major camera companies and other equipment manufacturers. Before you purchase a flash unit with any brand name, check that it is a “dedicated” flash, or one that is compatible with your camera. It’s important that the flash unit will integrate with your camera’s auto-exposure system, and include other helpful features. Non-dedicated flash units will typically only work in manual mode. You may save money, but operating the flash manually is a hassle. All separate, or external, flash units can be compared according to a guide number (GN), which is a measurement of their light output. This refers to the maximum distance the flash can illuminate a scene or subject. Flash units that have larger guide numbers provide more power and range of light. When comparing the guide numbers of various flash units, be sure to check if the numbers are expressed in feet or meters. You’ll want to choose a flash with a guide number that matches the kind of digital photography you take. Another factor to consider, when choosing a flash unit, is whether to pay for the TTL, or “through the lens” metering feature. Flash units from major camera manufacturers include this feature. The unit pre-flashes, which the camera reads “through the lens.” The camera transmits a signal to each flash unit to provide the right amount of light to expose the photo correctly. The upside of a flash unit with TTL is that it is essentially automatic, so if most of your digital photos are casual images, without much set-up, then you may want a TTL flash. The downside for many photographers is that a flash with the TTL feature is more expensive. You may save money in the short term, but you may discover very quickly that you wished you had bought a flash with TTL. To use one or more flash units off camera, you’ll need a system that triggers the flash and syncs it with the camera’s exposure system. This will require the purchase of additional equipment. The easiest and lowest-cost method to connect an off-camera flash unit with your camera is a sync cord. If you choose a flash with the TTL feature, then you must also purchase a compatible cord, which is more costly than a common sync cord. Of course, you’re limited by the length of the cord; and you can only connect it to one flash unit. Plus, a cord can be a nuisance. An off-camera flash can be fired wirelessly via an infrared signal. Flash units from major manufacturers that are made for their cameras have this capability. It works quite easily, since all you need is the camera and the matching flash unit. There are limitations, however. The camera and flash must be within line of sight of each other, and within a certain distance. Wireless infrared doesn’t work well in the bright light outside and only works with specified camera models. Infrared wireless will also operate with cameras that have a flash commander feature. If you’re camera doesn’t, then you must purchase a flash commander module. 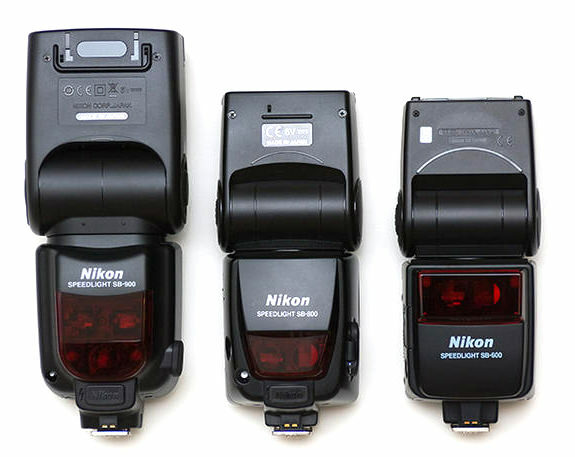 Another option is to choose an expensive flash unit with the capability to trigger off-camera flash units. The primary advantages of these systems are that the camera and flash do not have to be in line of sight and you have full TTL automatic exposure for each off-camera flash unit. Those are expensive advantages, however, because you must buy a system that includes a transmitter to attach to your camera and a receiver for each off-camera flash. Regardless of what kind of digital photography you shoot, there are many flash units and accessories that will help you use your flash off camera, and that will result in better pictures.